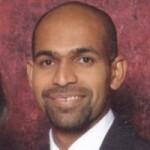 Sharath Sahadevan is a Senior Field Engineer with Pivotal. He lives in St Louis. He enjoys playing tennis, Chess and spending time with his family. He has developed an application to analyze stocks –http://analyze-stock.appspot.com/.